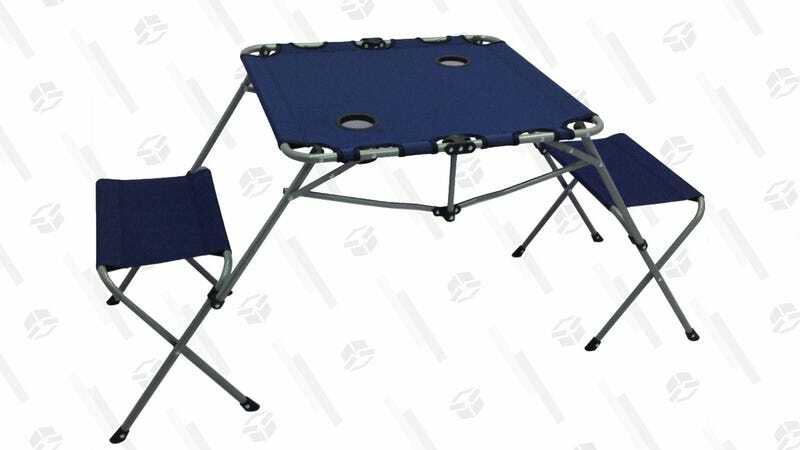 Just in time for tailgating season, this Ozark Trail camping table is an all-in-one fabric table with two seats and critically, two cupholders. When not in use, you can even fold it up and store it in the corner of your garage. Not bad for $16.